Specifications of the Lenovo ThinkPad X230 12.5-inch laptop with the 3rd generation Intel Core processor, Intel HD 3000/4000 Graphics, 4G LTE, two USB 3.0 ports and a HD webcam. The following drivers are compatible with your ThinkPad X230, X230i, X230 Tablet, X230i Tablet Notebook and windows 7 Operating System. Are you looking Lenovo G560 laptop Windows 7 32 or 64-bit Driver? Here is the Lenovo G560 drivers for whoever needs help installing them on Windows 7 32 bit and 64 bit. The Lenovo G570 comes with 2nd Generation Intel Core processors, up to the Core i5, Intel’s integrated HD Graphics 3000, a built-in webcam, 802.11n Wi-Fi, and Bluetooth. 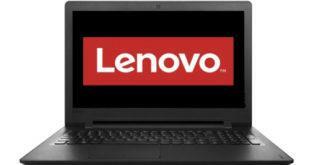 Are you looking Lenovo G570 laptop Windows 8 driver? Here is the Lenovo G570 drivers for whoever needs help installing them on Win8.